Or if not all soles, at least the red ones -- courtesy of Christian Louboutin, who celebrated 20 years and the release of his new book last night at Barneys New York with a chorus of well-shod sartorial saints. 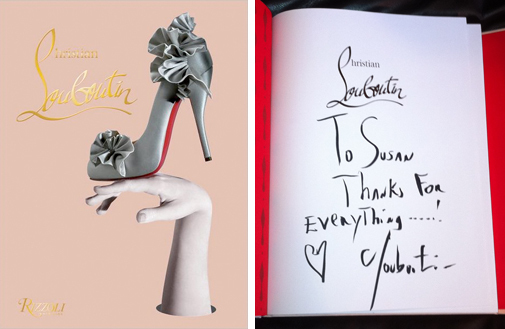 350+ pages and a pop-up, and, thank heaven, the only mention of law is its absence, hearkening back to a lovely moment when Yves Saint Laurent was alive and he and Louboutin briefly shared a label rather than a lawsuit. May future footwear fantasies be equally unfettered! You're welcome, Christian -- and congratulations!